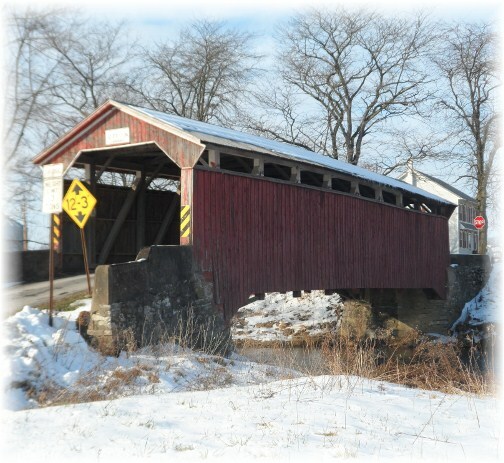 The Sam Wagner Covered Bridge over the Chillesquaque Creek on the Northumberland/Montour County line in north-central PA. Message summary: Some of you can sense persistent knocking of the Polite Gentleman but have not responded. We earnestly urge you do so today. Many have noticed the growing incivility in our age, especially as it pertains to politics. Incivility is defined as rude or unsociable speech or behavior, an impolite or offensive comment. This is not a one-sided issue and there’s enough incivility on every side to go around. But incivility can also be seen at many levels. Last week an angry driver sped up and tried to side swipe me when I attempted to move into the left lane to make a left turn that was coming up. As he passed us I didn’t look over at him but Brooksyne said he was waving his arms angrily at me though there was no reason for his anger, much less his dramatic incivility. For about ten years we’ve gone to a very kind dentist who has a most pleasant disposition. Yesterday Ester and I had our exams and cleanings. The culture of kindness in his office is extended through his office staff, dental assistants, and hygienists. 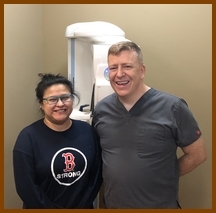 For instance when Dr. Dinse is working on your teeth he repeatedly asks if you are comfortable and constantly thanks his assistant whenever she hands him an instrument. He must say “thank you” hundreds of times a day. Perhaps he’s trying to make up for so much incivility out there or perhaps his mother really did a great job teaching him good manners! Have you ever considered how polite Jesus is? He has been described as the Perfect Gentleman. The daily text describes His work among the human race in the lives of millions and millions of people to this day. 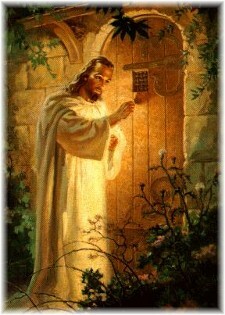 The Apostle John received this remarkable revelation from the ascended Lord, “I stand at the door and knock“. The Greek tenses can be rendered, “I am persistently standing at the door and am persistently knocking.” An older, expanded translation (Wuest) which states, “I have taken my stand at the door and am politely knocking“. And Jesus is doing just that in a spiritual sense. I recall an early effort at personal evangelism when I quoted this verse and a man earnestly felt his chest and said, “I don’t feel anything”. A children’s nurse had an interesting approach in calming children. Before listening to the little ones’ chests, she would plug the stethoscope into their ears and let them listen to their own hearts. Their eyes would light up with awe, though she never got a response equal to a little four-year old’s comment. 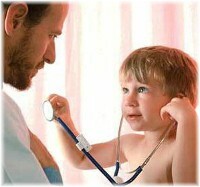 Gently she tucked the stethoscope into his ears and placed the disk over his heart. “Listen”, she said quietly, “What do you suppose that is?” The little boy drew his eyebrows together in a puzzled line and looked up as if lost in the mystery of the strange tap – tap – tapping deep in his chest. Then his face broke out in a wondrous grin with big eyes as he curiously asked, “Is that Jesus knocking?” Apparently the little boy had heard a lesson on today’s text or more likely had sung the little children’s song based on the verse. Some of you can sense the persistent presence of the Polite Gentleman but have not responded. We earnestly urge you to respond today to the Polite Gentleman by hearing His voice and opening the door of your life. Following this message is a brief prayer that expresses faith in Christ and has been repeated by millions in opening their lives to the Lord. Most of you have heard His voice and have opened the door of your heart and surrendered your life to Him. You are experiencing the wonderful fellowship with the One who promised, “I will come in and eat with him, and he with Me.” And that is life’s greatest blessing, not just for the here and now, but for all eternity! Daily prayer: Here’s a common prayer that expresses faith in God’s plan of salvation through Jesus Christ. If you have not done so already, I urge you to pray this prayer from your heart today. Another knocking memory: Years ago Brooksyne led a choir comprised of over thirty singers from several churches in a Christmas Musical titled “Hope Has Hands”. What a blessing to see the cooperative labors of multi-generations sing their praises to God (there were singers from ages 14 to 84 – singers represented from each decade of life). The choir concluded with a beautiful number titled “Come”, which is a stirring invitation to come to Christ. 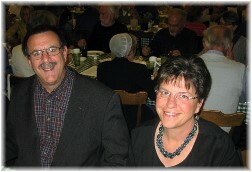 They were completing the song by singing the compelling words, “Come” three times, each time getting softer, when suddenly there came a loud, rhythmic knocking from the back of the church. It was one of those experiences where everyone hears it, but out of respect for the setting, people try to stay focused and ignore the obvious which is what the choir and congregation did momentarily. But the knocking persisted and filled the entire sanctuary. Well, finally the mystery was solved when a perceptive observer discovered that it was a child who had a toy hammer and was knocking on the Plexiglas that separated the nursery window from the sanctuary. The curtains were drawn so we couldn’t see the child who was hammering. It sure served as an interesting beginning to my devotional calling to mind our daily text, “Behold, I stand at the door and knock”.